The iconic Mount Cook area is the highest part of the Southern Alps. 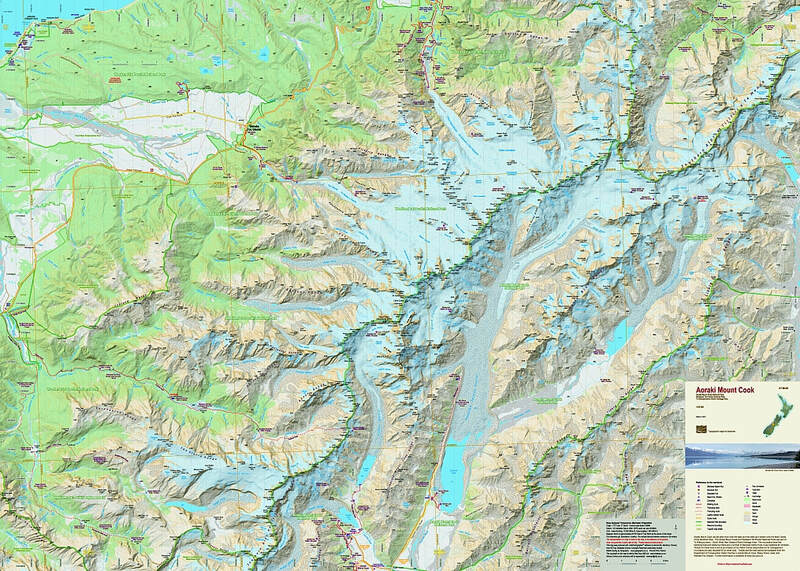 The map covers all the major features including the Copeland Valley and Pass, and the Fox and Franz Josef Glaciers west of the Main Divide. 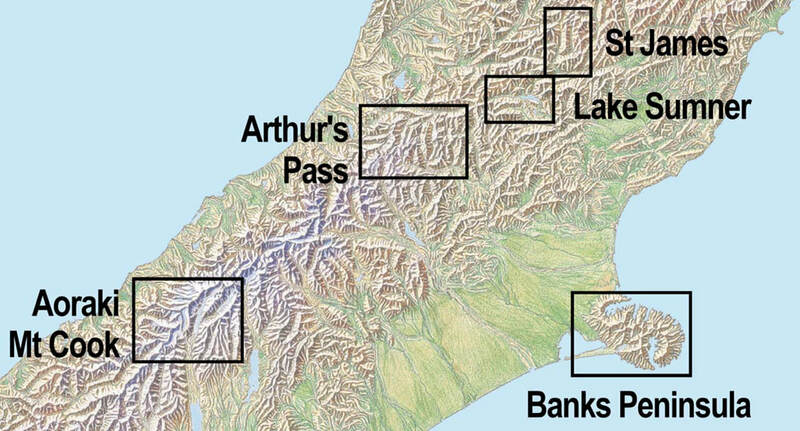 The map shows large parts of the Mount Cook and Westland National Parks. This new edition shows the National Park boundaries as well as the boundaries of other reserves. Note: The height of Aoraki Mt Cook has been recalculated to 3724m. Large format 840x600mm. Folded to 120x200mm. New Zealand Transverse Mercator projection.